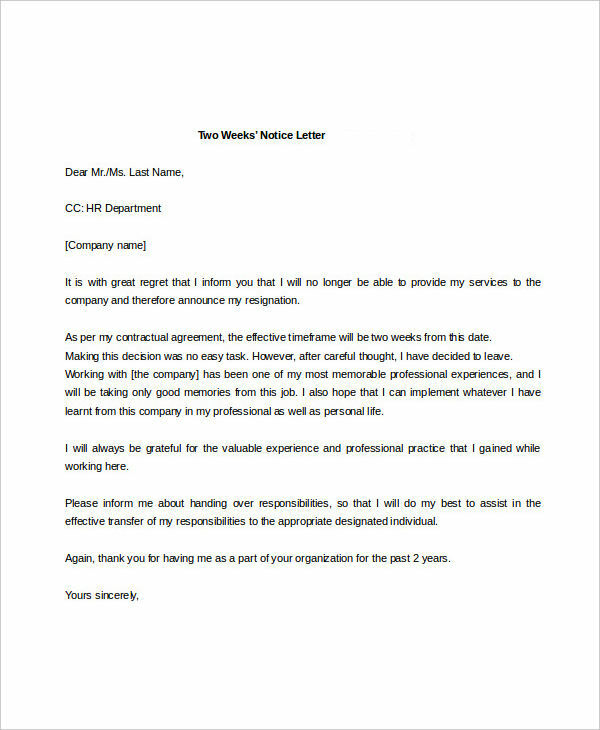 One of the things you will have to do when you want to continue your career somewhere else is to write a two weeks’ notice letter to your employer. 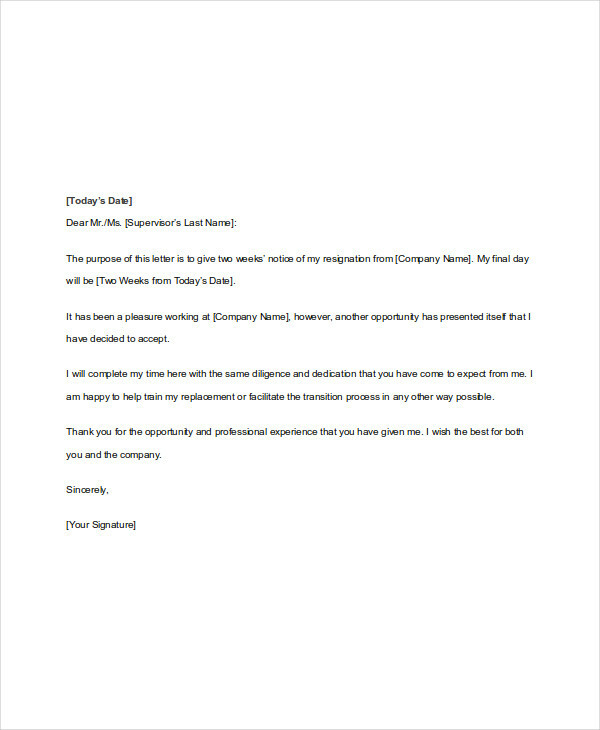 The notice to perform would be useful when you want to state the final date that you will be working for that company. 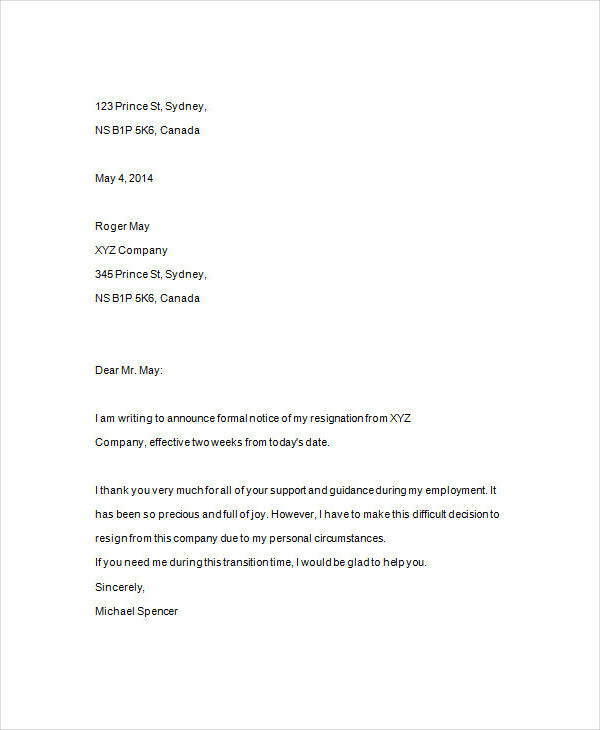 It is recommended that you include an action notice in your two weeks’ notice letter. This can help put things in perspective and help you slowly transition into your next career while helping your past employer find a suitable replacement for your job title. 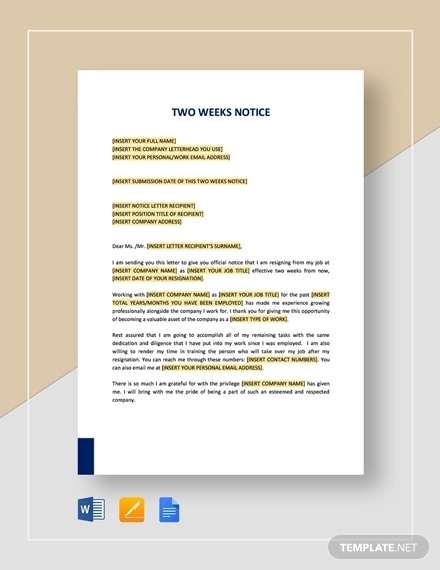 For those short on time, all it takes to write a two week’s notice is to use the notice examples in Word provided here. 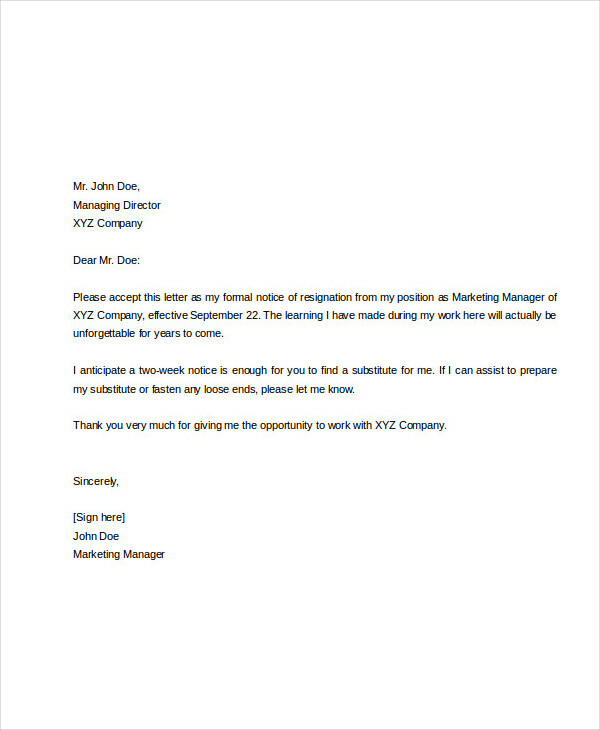 From them, you can not only get an idea on how to write your own two weeks notice, but edit the document directly to suit your needs. 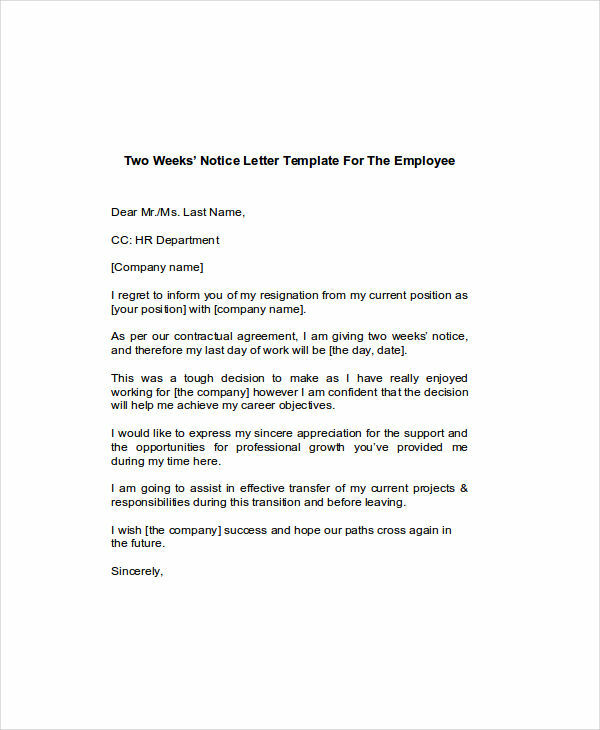 Preferably, the two week’s notice letter should be formal in writing and friendly in terms of the tone. As much as possible, do avoid stating the reasons on why you are resigning from the job. Instead just a brief thank-you to your employer for the opportunity would be enough. If there are pending tasks that needs to finished before you depart the company, finish it as much as possible. This will leave a positive mark on your employer, helpful for future references. Date of your last working day. This does not only apply to the two weeks’ notice but also to the 30-day notice. This is to give time for your employer to find a new replacement to fill your job position. A concise note of gratitude. This gives you a graceful exit while at the same time allowing you to be thankful for the opportunity given to you with your soon-to-be-former employer. An offer of help. It is a common courtesy for you to lend your hand in transferring your information and knowledge to your replacement. Your manager is given a period of two weeks to find a suitable and qualified replacement for your job position. This also gives you time to say your goodbyes to everyone that you’ve encountered in your workplace. It is up to you whether you want to offer your help to your manager on finding a replacement for you, but doing so is one way to leave a positive vibe. It is often necessary that you turn over all of your work documents and work responsibilities to the qualified replacement. Elsewhere on site are downloadable free notice examples that can further assist and guide you on being more well-versed on the purpose of notices in the professional world. How Do You Write a Two Weeks Notice?